I do not know when the Beauty Blender was release but gee whiz, why did it take me this long to finally purchase it. Maybe it was because I thought it was a gimmick product or maybe I didn’t want to believe that nothing could replace my Makeup Geek blending brush. 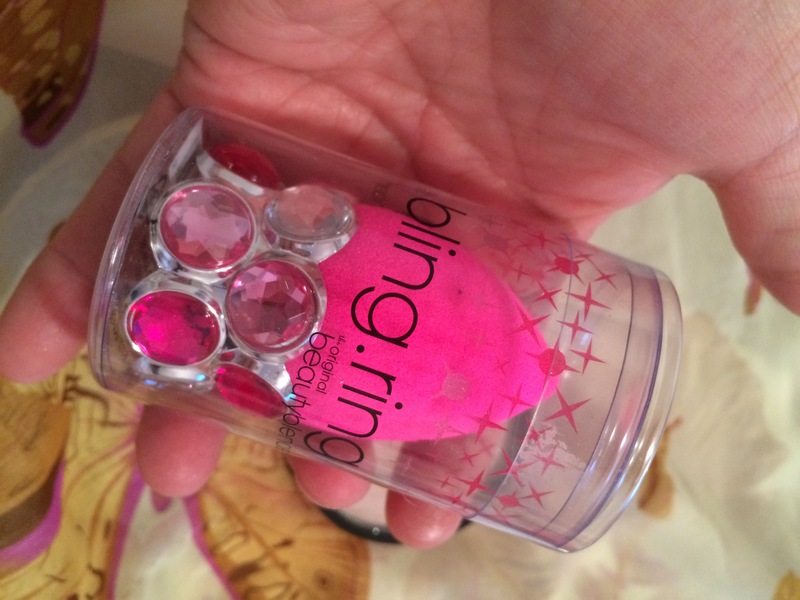 What ever the reason, I have my Beauty Blender now and that is all that matters and best of all, it came with a pretty little bling ring holder. Have you ever done this, where you say to yourself “I’m not falling for this product” and end up kicking yourself after purchasing it and realizing how fabulous the product really is and understand all the hype? Well, that was me! I think, what really sent me to the Sephora site in search of this amazing little dynamite product, was because of Tarababyz. If you do not know who Tarababyz is, she is a popular beauty guru on YouTube and has a wicked makeup collection that is to die for. I think she showed this Blender during one of her Haul videos and said that she really didn’t need the Blender but purchased it because of the two tones pink gem holder. Darn YouTube beauty gurus, they are responsible for me purchasing all the products that I have, yeah right, I’m just weak when it comes to makeup and anything related to makeup. So anyway, I bit the bullet and forked out the $35 and have been using it non stop for the past month. 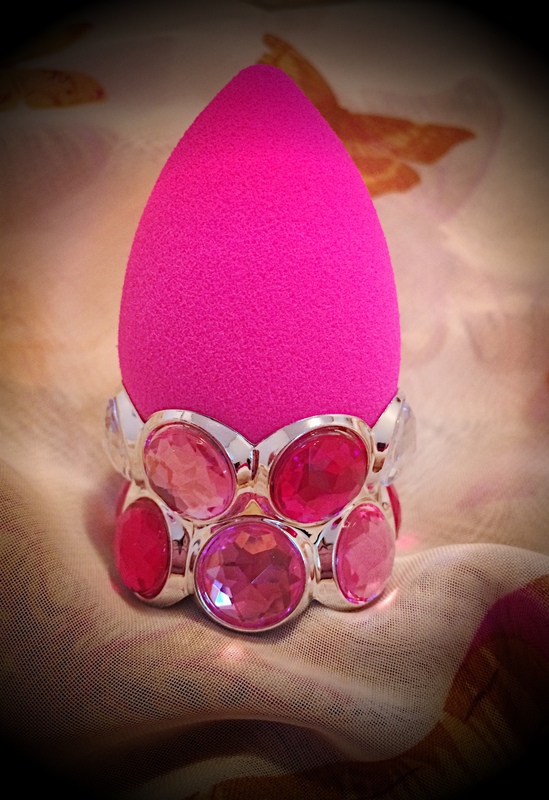 I am totally in love with my first ever Beauty Blender and the cute little jeweled ring holder it came with. I am amazed at how flawlessly it blends out my foundation, concealer and powder. I’m hooked! It’s really one of those products that is worth all the hype it received and everyone should have one in their beauty arsenal. 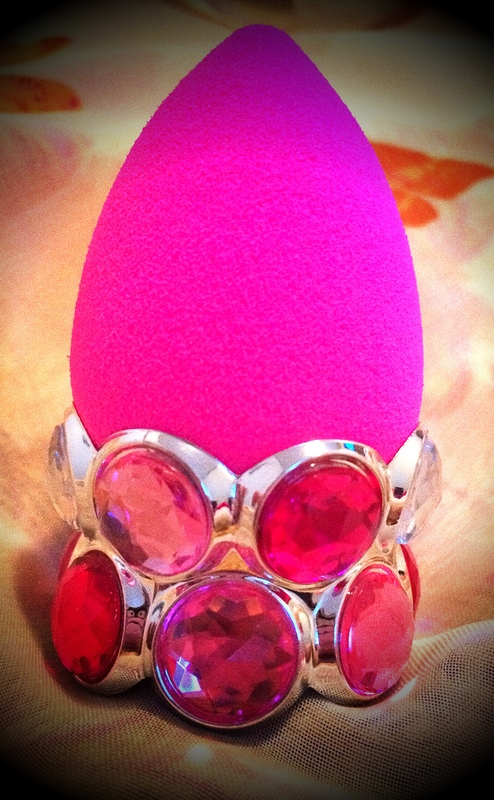 I just wanted to share this quick story about my new Beauty Blender and totally recommend that you race to your nearest Sephora and pick one up.